S3 safety boots offer a perfect all-round protective package which is standard and required for safety regarding all footwear for outdoor activities. 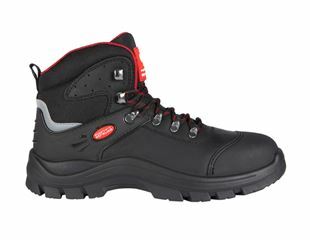 This specific safety footwear is the first choice and is the standard for building sites. Equipped with S3 all-round protection, toecap, puncture-resistant sole and pleasant lining, they are perfect for wearing in cold days. 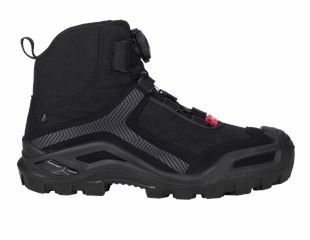 Depending on the model, this safety footwear focuses on different features, in addition to the protection package. Wet floors, smooth surfaces – there is a much higher risk of slipping in winter, which is why safety footwear not only needs to offer mechanical safety but also protection against falls. And this calls for a sole with a self-cleaning profile and a good grip. The combination of material and profile is decisive to ensure absolute anti-slip protection of the outer sole in compliance with SRC. To check the slip-safety properties as defined in the standard EN ISO 20344-20347:2012, the shoes are clamped into a measuring device in a number of positions and then moved across the test floors. The value measured here is called the friction coefficient. The test is carried out on ceramic tiles with SLS (sodium lauryl sulphate solution) and a steel floor with glycerol. 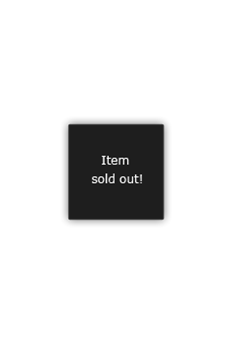 Depending on whether the shoes pass the test on tiles, on steel floors or on both floors, the anti-slip protection is classified with SRA, SRB or SRC. Winter building sites are a particular challenge for people and material. The main task of practical workwear is to protect the body against piercing cold. Three areas, in particular, require special protection at temperatures below minus 5° Celsius: the face, hands, and feet. In the case of the latter, safety boots with a cold-insulating substructure (CI) and warm lining offer perfect insulation and comfort. 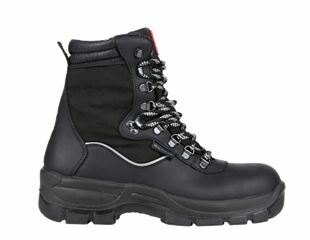 The protective footwear S3 Polaris by engelbert strauss are perfect CI cold blockers. The winter boots made of high-quality nubuck leather are available in three variants: as safety shoes S3 (ankle high), as S3 safety boots with a 24 cm shaft and laces, and also as S3 safety slip-on boots. The deep tread is ideal for use in ice and snow. All three versions are available in black and brown. Safety shoes and boots of the protection class S3 must remain watertight for at least 60 minutes to ensure safety. High-quality outer materials and the use of membranes offer reliable protection against the wet for our footwear. To ensure the minimum requirements are met, safety footwear needs to be waterproof and antistatic. Therefore wet and dirty boots require appropriate care to ensure safety. Most of our footwear have a dryplexx functional membrane. To ensure that the membrane function remains intact in the long-term, these models need to be impregnated on a regular basis – ideally before they are worn for the first time! You can of course also impregnate shoes that do not have waterproof membranes. Whilst this does not make them waterproof, moisture does drip off more quickly. The standard shoe care primarily depends on the outer material. Leather shoes should be brushed to remove coarse dirt and dust. All water and snow marks should also be removed as long as the shoes are still damp. We recommend applying our e.s. 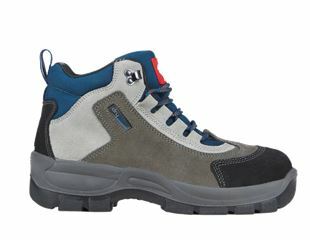 Dubbin to S3 safety shoes that are subject to heavy wear. It penetrates quickly into the leather to keep it supple and it has a water-repellent effect. One important tip: Drying the safety boots is just as important as the correct cleaning and impregnation. Please never try to accelerate the drying process by placing your work shoes on radiators or stoves, as this is detrimental especially to leather shoes which will quickly become hard and brittle. Instead, stuff newspaper into the shoes. The moisture is then removed gently at a well-ventilated place at room temperature. A special shoe dryer is also a good alternative to dry shoes gently at 37 °C, for instance our Glove and Shoe Dryer Compact. 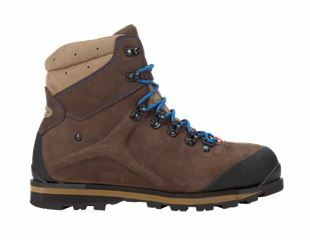 Our S3 boots are available in many sizes. We have a variety of safety boot models in sizes 37 to 50. For instance, the above-mentioned Polaris model is available from size 37 upwards making it also suitable for women. 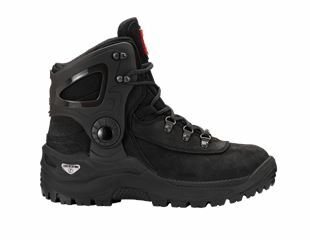 The following safety boots are available up to size 50. Equipped with S3 all-round protection, toecap, puncture-resistant sole and pleasant lining, they are perfect for wearing on cold days. Tipp: The perfect work boots should offer warmth AND climate comfort. A breathable lining and/or the use of membranes are decisive for a good feeling inside the shoes. However, breathable boots only work with functional socks. Cotton socks store the moisture. In contrast, functional socks transport the moisture outwards and away from the feet. This is the only way a pleasant foot climate can be achieved.